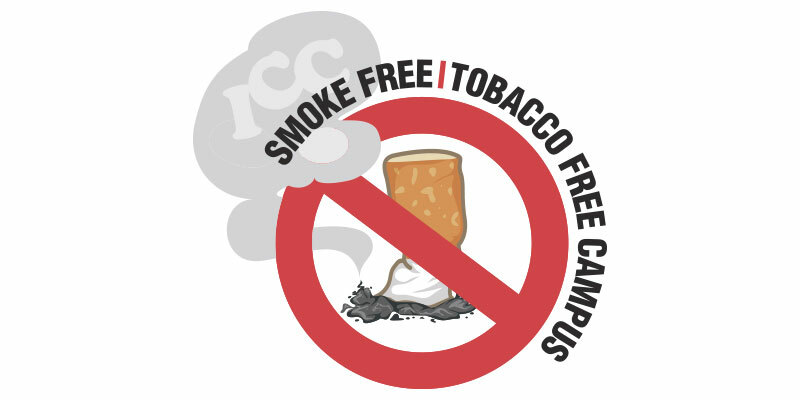 A Change is In the Air Illinois state law required ALL college campuses to be smoke free/tobacco free starting July 1, 2015. Like all other college and universities, Illinois Central College will comply with the law. Freedom from Smoking: ICC is sponsoring a seven interactive session to help you quit smoking. ICC has partnered with This is Quitting to provide a free support network for those interested in quitting. This interactive app and support network is a key step to regaining your freedom from tobacco! You can download the free app and log in with your ICC email address to check it out. Search “This is Quitting” in the app store on your phone or go to http://thisisquitting.com for links directly to the app for Android and iPhone. Sign up for text messaging by going to the training pack “Quit with Text Messages” and initiating Challenge #1: Sign Up. When campus police officers or campus security officers witness or have evidence of a violation of the policy, they may issue a verbal warning or a Regulation Violation Notice. Verbal warnings will be documented. Reporting smoking violations to the Campus Police Department can be done in person to an officer, by calling Dispatch or by sending an email. Employees who persist in violating the campus regulation will be reported to Human Resources and may be subject to disciplinary action, up to and including termination. Students who persist in violating the campus regulation will be reported to Dean of Students and may be subject to disciplinary action.